Casa Romantica Wedding is a perfect oceanfront ceremony site. Wedding photographers like myself who love the ocean can't get enough of this venue. Celebrating the unity of two people always has a lasting impression on me. 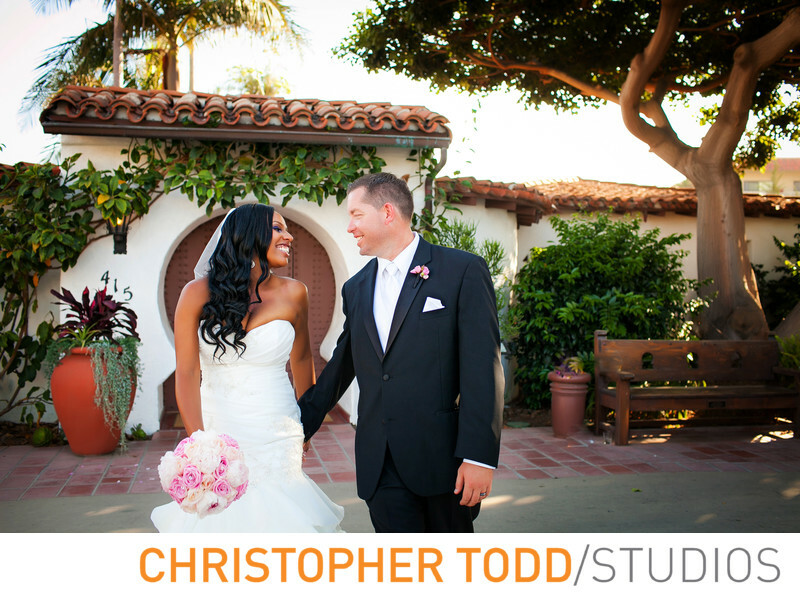 Having photographed 100's of weddings all over Los Angeles and Orange County I still tear up at some point in the day. Usually when capturing that moment the grandfather wipes a tear away or the way the couple gaze into each other's eyes as they exchange vows in front of family and friends. Every wedding is unique and no two are alike. That is what makes photography exciting. The name Casa Romantica says it all. House of romance. This San Clemente venue has a rich history to it. Built in 1927, Hanson used the Casa Romantica as his family home. The seven-bedroom, seven-bath house was designed by Carl Lindbom. Over the years, the house passed through various owners. It was even a senior citizens' retirement home up 1984 when George and Louise Welsh purchased the home and renamed it Casa Romantica. From 1984 until 2000, the Casa was leased to a private business for special events. The San Clemente Redevelopment Agency purchased the property from the Welsh Family Partnership in 1989. The stunning bluff-top estate of Casa Romantica provides the most spectacular and intimate oceanfront wedding and private events venue in all of southern California. 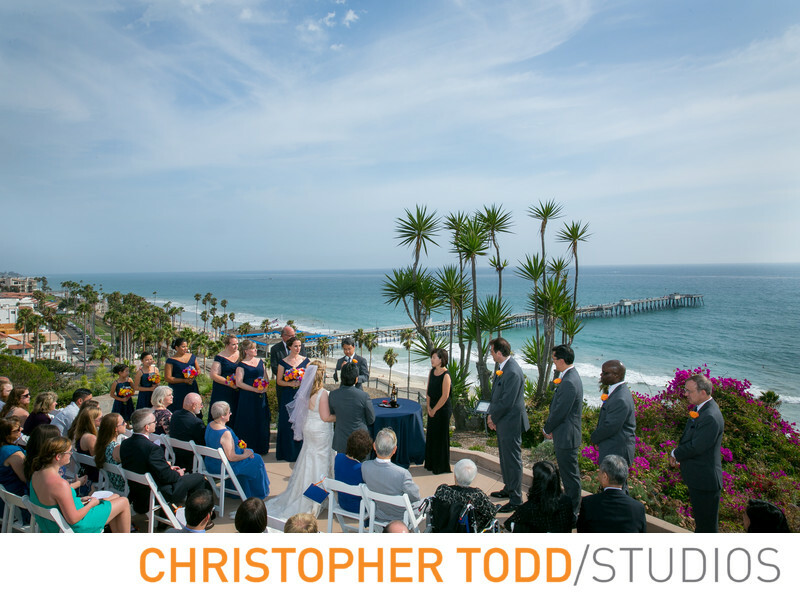 Wedding guests will love views of the San Clemente pier. Couples will love their wedding photos on the terrace.